I thoroughly enjoy reading book reviews, sometimes more than I enjoy reading the books themselves. But I have this odd quirk: I prefer to read reviews of books I’ve already read. For instance, when I come across another blogger’s Reading Round-Up, I immediately skip down to the titles that are familiar to me. It’s fascinating to see whether or not the reader’s opinion of a book aligned with my own; often it doesn’t, which tells me how our impressions of a book say more about us as readers than the books themselves. I’m curious: is this affinity for reviews of books I’ve already read a Kendra quirk, or is it common? In other words, do you read book reviews to help you build your own TBR or, like me, do you treat book reviews as a form of virtual book discussion? Whatever your reason for reading, I’m happy to share these reviews with you today! 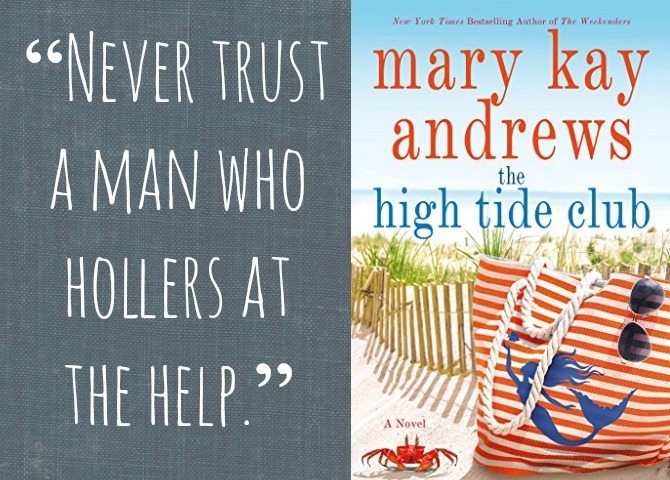 The High Tide Club, by Mary Kay Andrews: On a fall night in 1941, four young women gather in the light of the moon—not for an evening of skinny-dipping, as is their usual activity, but to bury the body of a dead man. Nearly a century later, 99-year-old heiress Josephine Bettendorf Warrick summons a young lawyer named Brooke Trappnell to discuss what will happen to her 20,000 acre island home after she dies. Brooke is unsure why the feisty older woman wants Brooke to serve as her attorney. As the two spend more time together, Brooke learns of her personal connection to Josephine and the other members of the “High Tide Club.” But when Josephine dies before disclosing all of her secrets, Brooke and the other descendants of the Josephine’s friends must join forces to determine why they’ve been brought together, and what really happened all those years ago. The book has some intriguing plot twists that I didn’t spot, although looking back I realize I was off my game, as they should have been fairly obvious. The twists serve the story well, but don’t quite manage to rescue the novel from its other shortfalls. This was a mostly enjoyable read, but I don’t feel a need to jump into another novel from this author any time soon. 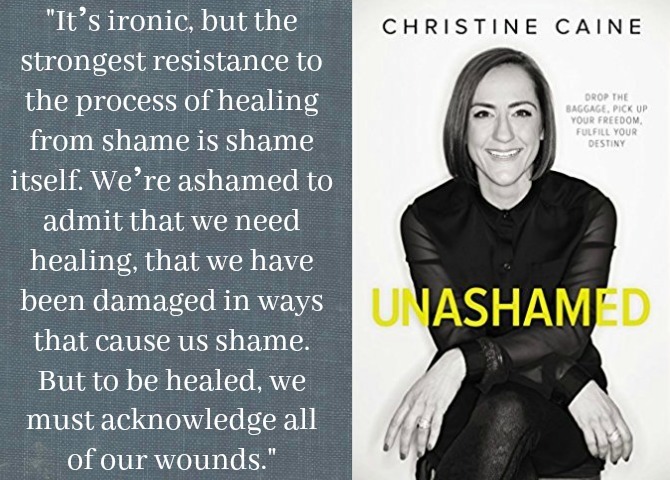 Unashamed: Drop the Baggage, Pick up Your Freedom, Fulfill Your Destiny, by Christine Caine: Mankind has struggled with shame from the very beginning (it literally was the first side-effect of Adam and Eve’s sin in the Garden of Eden), but I don’t know that the topic of shame received much attention until recently. Thanks in large part to the work of Brené Brown, our current society has a heightened awareness about this insidious problem and its devastating effects. Unashamed builds upon Brown’s ideas, interpreting her research through a Christian framework. Caine unveils the causes and consequences of shame and invites readers to walk into the freedom of a shame-free life. She shares stories of women (Biblical and modern-day examples) who have found freedom in Christ, and she shares her own journey of overcoming monumental shame hurdles including childhood abuse, growing up as an immigrant (she was born and raised in Australia but is of Greek heritage), and being raised in a misogynistic household. My introduction to Christine Caine came (as so many do these days) through a podcast. I was immediately impressed by her confidence, strength, and unflinching adherence to the truth. These are not qualities one would expect to find in a woman who has experienced a lifetime of shame. Caine’s life speaks to the Lord’s power to set us free. 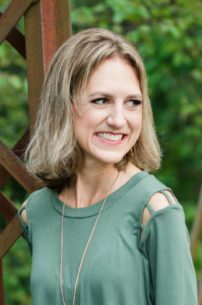 She is candid about her ongoing struggles, but fully believes in the power of Christ to continue bringing healing and restoration to her life. This book isn’t written exclusively for a female audience, but Caine spends quite a bit of time discussing women’s particular struggle with shame and how that problem has been exacerbated by well-meaning Christians. I loved her examples of how God healed women in the Bible, and used them specifically to accomplish His Kingdom Work. Women are not secondary citizens to Him, and we need to stop believing the lies that say we are less valuable because of our gender. Christine Caine’s parents practically forbade her from pursuing higher education, emphasizing that her place as a woman was strictly at home with her husband and children. I’m glad that she didn’t listen and that she is using her God-given giftings to make a difference in the lives of so many. 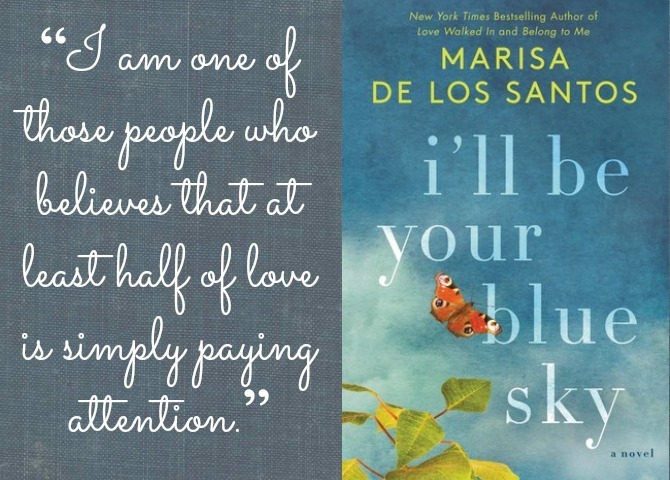 I’ll Be Your Blue Sky, by Marisa De Los Santos: On the eve of her wedding to a man she doesn’t love, Claire Hobbes meets Edith Herron, an elderly woman who quickly proves to be a kindred spirit. Through just a few conversations, Edith convinces Claire to leave her possessive fiancé and instead go in search of her own “blue sky,” a place where she feels comfortable and free. Claire calls off the wedding and three weeks later learns that her new friend is dead, and that she has gifted Claire a former seaside guest house known as Blue Sky House. Claire feels an instant connection to this long-abandoned home and in exploring it, she learns that it was no ordinary guest house—and that Edith was no ordinary woman. With the help of her best friend and former boyfriend, Dev, Claire embarks on a quest to understand Edith and the stories that have been waiting to be unearthed. Though technically the third in a series, this book stands alone. I did read the previous book, Belong to Me, and the characters are the same, but the stories are unrelated. I’ll Be Your Blue Sky is a beautiful story with intriguing themes of love, loyalty, learning to trust one’s intuition, and the value of knowing and being known. I often find myself wishing books had been edited down for length, but this is a book I wanted to keep going. De Los Santos is an exquisite writer whose prose reads like poetry and whose insights are profound and memorable. Brilliant word pictures melt into soft story, sprinkled with lively dialogue and moments of deep reflection. For me, the highlight of this book is Edith, a character who has little page time but whose presence is felt throughout the novel. Edith is described as thoughtful and awkward, a woman who thrives when given a job or a specific context but who struggles to truly fit in. She is insightful and loyal, and rarely have I seen so much of myself in a fictional character. Her backstory is beautiful and a little shocking, and I enjoyed joining Claire and Dev as they pieced together the truth. 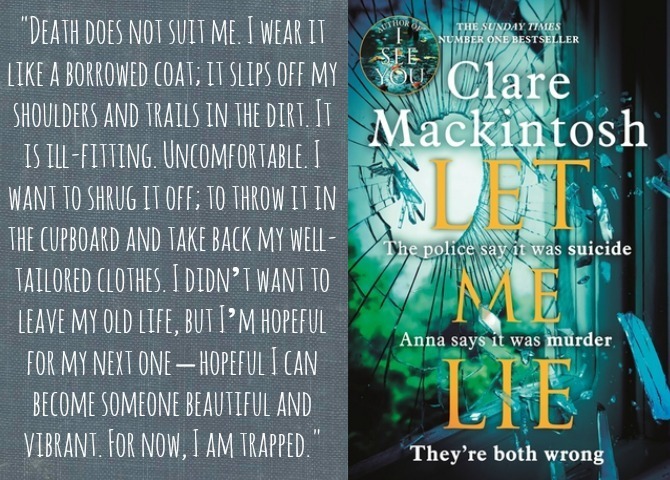 Let Me Lie, by Claire Mackintosh: Anna has spent the last year mourning the suicide of her mother, Caroline, who took her life just months after Anna’s father, Tom, jumped to his own death. Now a new mom herself, Anna is feeling the particular absence of her mother—a feeling that leads to suspicions that her mother may actually still be alive. When Anna and her partner (and former therapist) begin receiving strange signals, they contact the police about reopening the investigation of her parents’ suicides. Soon Anna learns that everything she thought about her parents’ deaths (and even their lives) may have been a lie. Clare Mackintosh’s previous two thrillers were such intense, jaw-dropping reads that my exceptions for Let Me Lie were quite high, and unfortunately this book didn’t quite meet them. The story isn’t terrible, but it’s a very slow burn with only a mediocre conclusion as payoff for the chapters of buildup. Let Me Lie makes use of similar stylistic elements as Mackintosh’s previous two novels, which tipped me off to the big twists fairly early in the book; if I hadn’t already read her first two novels, I might have been more surprised by and impressed with this one. Mackintosh is clearly a brilliant writer with a knack for blurring the lines of perception and a unique view of the human mind. Mental health is a fairly prominent theme of this book, and Mackintosh’s treatment of this prickly subject proved to be an unexpected bright spot. She portrays issues of anxiety, depression, suicide, and addiction with empathy and nuance—these are topics receiving more attention from the general public these days (especially given the high-profile suicides of recent months), but it’s not often that they are explored so tenderly in a thriller. I felt an especial admiration for Murray, the novel’s primary detective, who has spent a lifetime in a challenging but deeply rewarding marriage to his mentally ill wife, Sarah. Though Murray could easily have been written as a long-suffering husband with a White Knight complex, Mackintosh portrays Murray as a devoted husband who values his wife’s contributions to their relationship, which he finds to be mutually beneficial. This subplot doesn’t get much page time, and could easily have been written into a novel of its own. The audio version I listened to contained a Q&A with the author at the end. These are very often my favorite parts of a novel, as we get a look into how and why an author wrote a character in a particular manner, or why a plot took the trajectory that it did. This Q&A contains some particularly juicy tidbits; I especially enjoyed hearing how Mackintosh’s previous career in the police force prepared her as a writer. 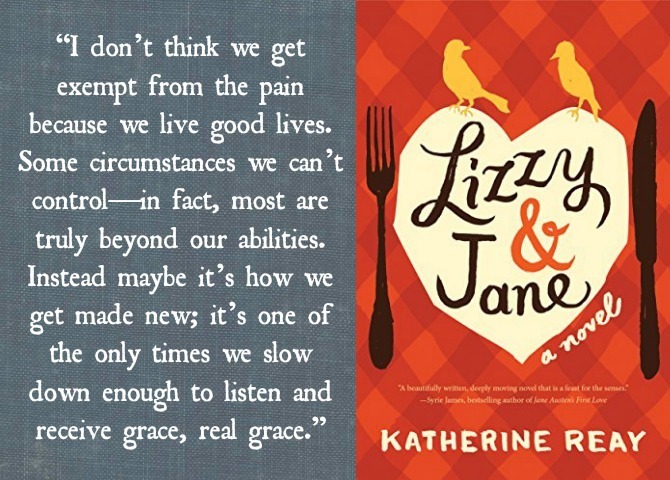 Lizzy & Jane, by Katherine Reay: Elizabeth is a successful New York City chef whose kitchen prowess seems to have suddenly vanished. With encouragement from friends and colleagues, Elizabeth takes some much-needed time away from her restaurant to return to her family in the Pacific Northwest. Seattle hasn’t felt like home since Elizabeth’s mother died of cancer fifteen years ago. Now Elizabeth’s sister, Jane, has also been diagnosed with cancer, and Elizabeth reluctantly agrees to move in with Jane to care for her and her two children while Jane’s husband is traveling for work. As the sisters make an effort to mend their broken relationship, Elizabeth embarks on a new cooking challenge: preparing meals that will appeal to and nourish Jane during her chemo treatments. In learning how to meet her sister’s needs, Elizabeth’s culinary expertise slowly reemerges. Through books and their shared love of Jane Austen, the two sisters begin to reclaim the years that were lost to them, but there are more than a few bumps along the way. I’ve come to trust Katherine Reay as an author, so I picked this book up without reading a synopsis first. Which was why I was surprised to discover that cancer played a central role in the story. I’d just finished Everything Happens for a Reason (reviewed last Monday) and remarked on how infrequently cancer is discussed in fiction, and here I was being proved wrong almost immediately. I don’t have personal experience with the disease, but the descriptions seemed realistic without being vulgar or depressing. Jane’s cancer is part of the story, but it doesn’t dominate it. It was equally encouraging and heartbreaking to see Jane and her family navigate her disease with courage and, eventually, grace. I hadn’t thought much about how cancer and chemo affect appetite, and it was interesting to see Elizabeth construct dishes that were specifically suited to Jane’s shifting taste preferences. Reay’s descriptions of food, aromas, spices, and ingredient combinations are enticing as well as intriguing: I’m no foodie, but I do like to cook and was inspired by a number of the recipes described. I was also fascinated by Elizabeth’s way of viewing the world through the lens of food, and of understanding people by the scents and flavors that represent them. Elizabeth and Jane’s mother saw the world through a Jane Austen lens, categorizing people by their Austen dopplegängers, and that too was a fun touch. To stick with the food metaphors, this book (like all of Katherine Reay’s novels) is a warm and comforting dish, combining familiar ingredients in new ways to create a meal that is entirely welcome and nourishing. The characters present appropriate levels of spice and depth, adding to a story that is sweet but hearty. Though it isn’t entirely original, I came away from this feast feeling satisfied and happy. Soul Rest: Reclaim Your Life. Return to Sabbath, by Curtis Zackery: There have been a handful of instances in my life when a book has come to me at exactly the right time. I believe these moments are God-ordained, and I cherish them. This book, and my experience with it, is being added to my Pivotal Book Hall of Fame. I picked up Soul Rest after hearing the author (a friend and mentor of Annie Downes) interviewed on That Sounds Fun. I had been feeling frazzled and in need of some deep, soul-level rest of my own, and I wasn’t sure where to begin, but this book seemed like a good place to start. I was under the impression that the book was exclusively about taking a structured Sabbath, and I knew that that wasn’t in the cards for me at this stage in life, but I thought the book might still offer some good ideas for nourishing my soul. Wow, did it ever. Curtis Zackery is a pastor who was struggling in his relationship with God during a period of deep pain for him and his wife as they walked through a season of miscarriage and loss. Zackery felt called to leave professional ministry for an extended sabbatical. He stepped out in faith, not knowing that God would use that period to heal deep soul wounds and teach Zackery how to truly rest with God. 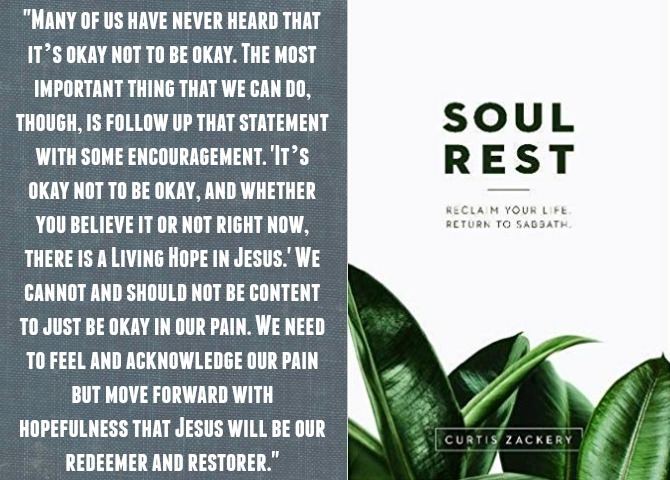 Zackery’s personal inner work provides a framework for the book, but he also incorporates hundreds of Scripture references and more quotes (from theologians, authors, influencers, etc.) than any other book I’ve read. The book is divided into two sections: Part One is a tutorial on finding rest by digging into the past and allowing God to rescue us from our personal pains. Part Two examines the concept of rest in everyday life, and how it plays out in community, in ministry, and even in times of suffering. The last chapter is a deep-dive into specific restful rhythms, such as study and play and sleep. The concept of Sabbath is explored, but in a way that feels approachable and desirable; this isn’t a book about “taking Sunday off,” but about learning how to have a Sabbath-mindset that turns to the Lord for all of our healing and needs—including our need for rest. Zackery’s writing is simple, straightforward, and conversational—not a style I’m typically drawn to (I prefer flowery language), but his messages are so profound that I hardly noticed. I can’t begin to list all that I learned from this book (according to my Goodreads account, I highlighted 201 passages! ); I constantly found myself writing things down to return to in my journal, or sending screenshots to friends I thought would also appreciate the book’s ideas. My biggest takeaway was that rest is simple, but it isn’t easy; it requires stopping our own work, and focusing on God’s work in us. It involves self-care, which is really just handing ourselves to the Lord and letting HIM do the caring and the restoration. It will be uncomfortable, but the rewards are abundant. He will provide rest for our souls. 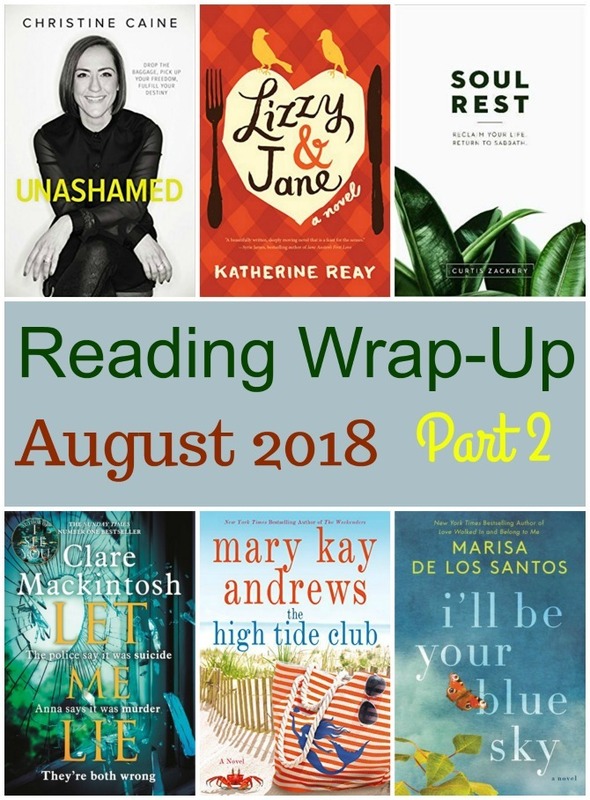 I’m linking up today with Modern Mrs. Darcy to share what we’ve been reading. If you’re here from the linkup, thanks for stopping by! 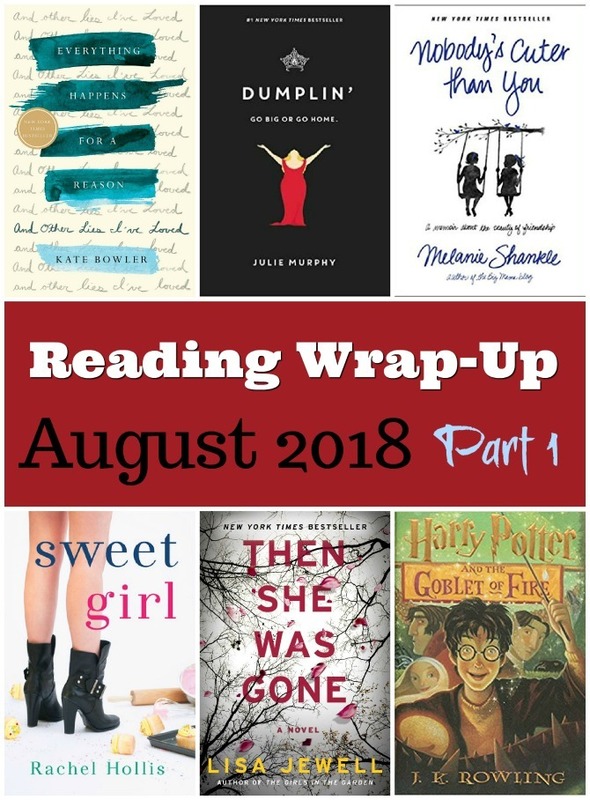 Please visit Monday’s post for Part 1 of this month’s book reviews. Check back here Friday, when I’ll be sharing reviews of six more titles including the latest from David Sedaris, Judy Bundell, Fiona Davis, and Bob Goff!